By Paul I. Jefremov and Volker Perlick. Among all known solutions to Einstein’s vacuum field equation the (Taub-)NUT metric is a particularly intriguing one. It is that metric that owing to its counter-intuitive features was once called by Charles Misner “a counter-example to almost anything”. In what follows we give a brief introduction to the NUT black holes, discuss what makes them interesting for a researcher and speculate on how they could be detected should they exist in nature. Volker Perlick and Pavel (Paul) Ionovič Jefremov from the Gravitational Theory group at the University of Bremen in Germany. Volker is a Privatdozent and his research interests are in classical relativity, (standard and non-standard) electrodynamics and Finsler geometry. He is an amateur astronomer and plays the piano with great enthusiasm and poor skills. Paul got his diploma in Physics at the National Research Nuclear University MEPhI in Moscow, 2014. Now he is a PhD Student in the Erasmus Mundus Joint Doctorate IRAP Programme at the University of Bremen. Beyond the scientific topics in physics his interests include philosophy in general, philosophy of science, Eastern and ancient philosophy, religion, political and social theories and last but not the least organic farming. The NUT (Newman–Unti–Tamburino) metric was obtained by Newman, Unti and Tamburino (hence its name) in 1963. It describes a black hole which, in addition to the mass parameter (gravito-electric charge) known from the Schwarzschild solution, depends on a “gravito-magnetic charge”, also known as NUT parameter. If the NUT metric is analytically extended, on the other side of the horizon it becomes isometric to a vacuum solution of Einstein’s field equations found by Abraham Taub already in 1951. However, for an observer who is prudent enough to stay outside the black hole, the Taub part is irrelevant. At first sight, the existence of the NUT metric seems to violate the uniqueness (“no-hair”) theorem of black holes according to which a non-spinning uncharged black hole is uniquely characterised by its mass. Actually, there is no contradiction because the NUT metric violates the condition of asymptotic flatness which is one of the assumptions on which the uniqueness theorem is based. There are various ways in which to construct a global space-time out of the locally given NUT metric, but all of them have some kind of pathologies. In particular, it is inevitable to have closed time-like curves outside the horizon which allows an observer to come back to events in his or her own past. This seems to indicate that the NUT metric is unphysical. On the other hand, we have learned that one should not be too quick to judge the physical relevance of the solutions of Einstein’s field equations simply because what they predict appears to be “strange” for the common sense: for many years it was thought that the “singularity” of the Schwarzschild metric at the Schwarzschild radius was unphysical either. Now we are almost certain that black holes exist in nature and that they are correctly described by the Schwarzschild (or Kerr) solution. So also, concerning the pathologies of the NUT metric, one may argue that they go away if a NUT black hole is considered in its cosmological environment. For example, the existence of closed time-like curves in the space-time of an eternal black hole is not worrisome if the proper time to come to one’s own past exceeds the age of the universe. Therefore, we think that one should allow for the possibility that NUT black holes exist in nature. Then the question arises: would we know a NUT black hole if we saw one? Some work in this direction already existed, e.g. 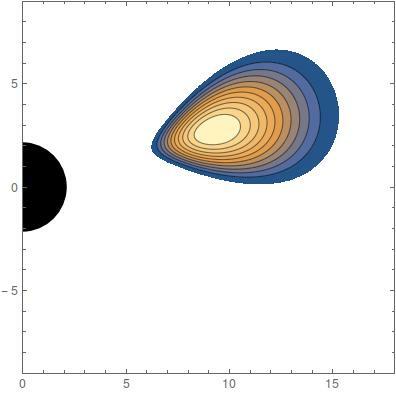 Arne Grenzebach, a colleague from our institute, derived an analytical formula for the boundary curve of the shadow of a black hole with NUT parameter. In our CQG paper, we concentrated on particle motion around a NUT black hole. Whereas the physical interpretation of the NUT metric is challenging, its mathematical structure is comparatively simple and elegant. In particular, particle motion can be studied analytically without the need of using numerics. Among other things, we studied so-called Polish doughnut solutions of accretion tori around NUT black holes. This type of analytically determined perfect fluid motions was invented by a group of Polish authors (hence the name) and has been studied extensively on the Schwarzschild and Kerr space-times. In our paper we analytically investigated the influence of the NUT parameter on the matter distribution, the temperature and the shape of the doughnut. The most salient feature of the NUT charge is in the fact that it lifts the torus out of the equatorial plane, i.e., there is no longer a reflection symmetry (see Fig. 1). This result, in combination with earlier results by others, would indeed allow to identify NUT black holes, should they ever be detected. Our work was conducted at the Centre of Applied Space Technology and Microgravity (ZARM) which is an institute of the University of Bremen in Germany. 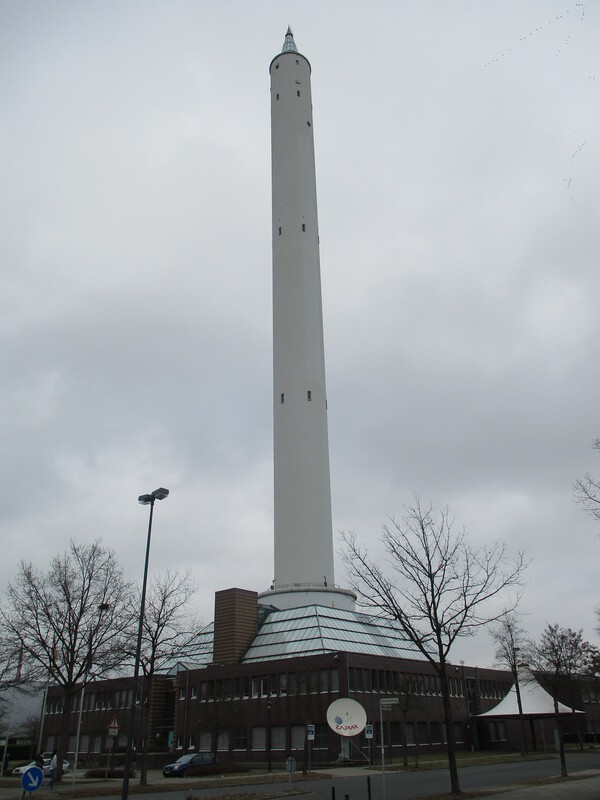 ZARM is best known for running the Drop Tower where free fall experiments are carried through. The fall tube has a height of about 110 meters which yields conditions of microgravity (i.e., almost zero gravity) inside a capsule for about four-and-a-half seconds if the capsule is dropped and for about nine seconds if it is shot upwards with our catapult. The research at ZARM ranges from very practical engineering problems to such “exotic” topics as NUT black holes. Obviously, we are very much on the theoretical side; however, working under the same roof with experimentalists and engineers always reminds us of thinking about the relation of our work to the real world, i.e., to experiments or observations. Sign up to follow CQG+ by entering your email address in the ‘follow’ box at the foot of this page for instant notification of new entries. CQG papers are selected for promotion based on the content of the referee reports. The papers you read about on CQG+ have been rated ‘high quality’ by your peers. This entry was posted in Author Insights, IOPselect and tagged accretion, black holes, fluid dynamics, spacetime by Jennifer Sanders. Bookmark the permalink. Jennifer is Editor for a range of astrophysics, measurement and instrumentation journals. She has worked in scientific publishing at IOP Publishing since completing her PhD in Photon Physics at The University of Manchester in 2012.